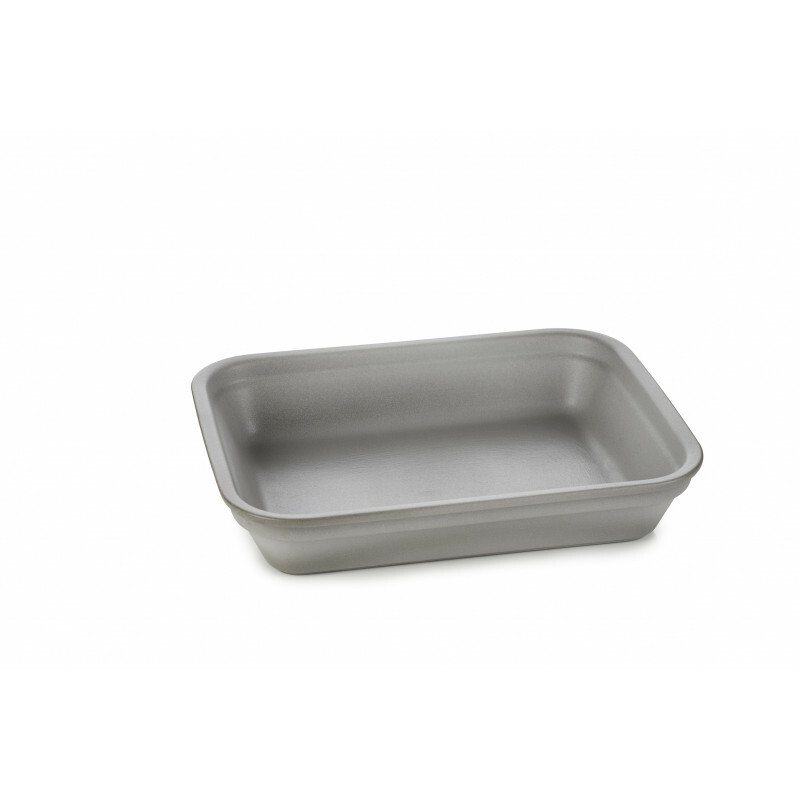 This rectangular roasting dishes are very simple and very efficient. There are 2 smaller individual sizes and 3 larger sizes. They are made of black ceramic clay and glazed with white. They are stackable, no handles (so easy to store), they will ensure a great baking and are easy to clean. This is your everyday go to piece to serve anything from sides or desserts. Also available in white and black cast iron style. They are part of the new REVOL collection of French Classics.